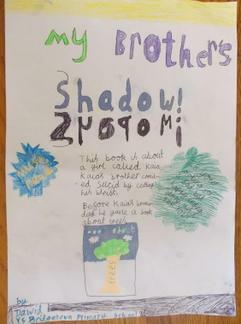 Here are Toby and Izzy's competition entries for Best Book! 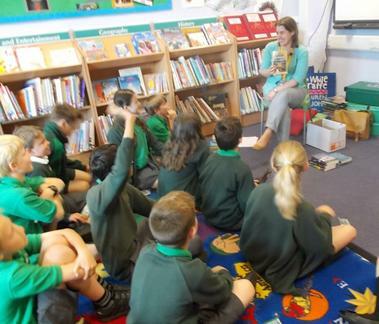 Hannah from SLS came to chat about the books. Rohan Gavin is an author and screenwriter based in London, and as you can guess he is a huge fan of Sherlock Holmes! 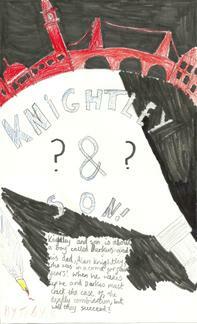 He loves of detective fiction and conspiracy theories inspired him to write the Knightley and Son series. Rohan is the son of award-winning children's author Jamila Gavin. ‘My name is Kaia. I’m frozen because of what happened. I’m trapped because of what I saw. Can someone help me to grow again?’ Kaia is frozen when her brother dies, but can an unexpected friend help her to grow again? Tom Avery was born and raised in London in a very large, very loud family, descendants of the notorious pirate, Henry Avery. He trained as a teacher and has worked with children in inner city schools in London and Birmingham. In 2010, Tom's debut novel, Too Much Trouble, won the Diverse Voices Book Award. 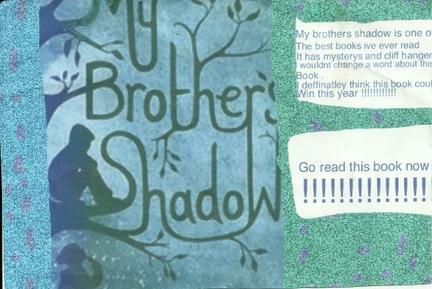 A Brother’s Shadow has been nominated and longlisted for the 2015 Carnegie awards. Ali has had a wide variety of jobs, always having huge amounts of fun. She finally deciding that writing for children was the perfect job for her and has never looked back. You should definitely have a look at the other books that she has written. When she is not writing she spends time walking her two dogs, reading (of course!) and going to the cinema as often as she can. She loves walking in the Cotswolds and will play tennis when she is feeling energetic!